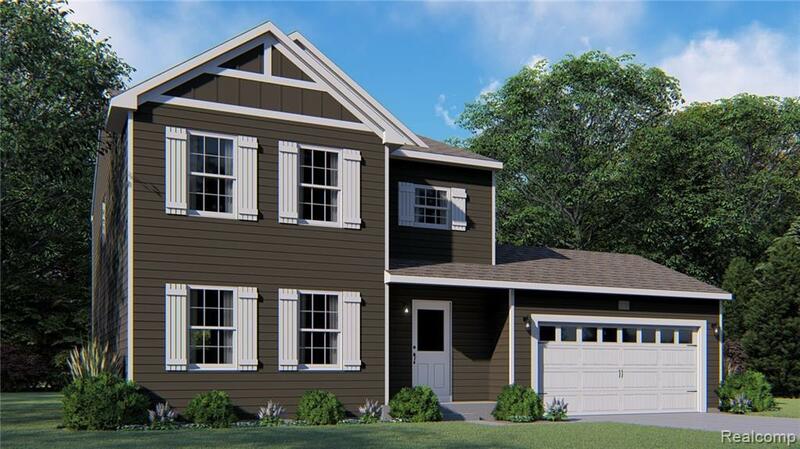 New construction to be complete late Summer/early Fall 2019, 4 bedroom, 2.5 bath home in Trail Ridge Estates, located in Grand Blanc, a hub to many expressways to get you anywhere in Michigan with easy access to I75, US 23 and 69. Trail Ridge Community has a home town feeling in a quiet setting, close to shopping centers and restaurants, situated in Grand Blanc Township with Grand Blanc Schools. 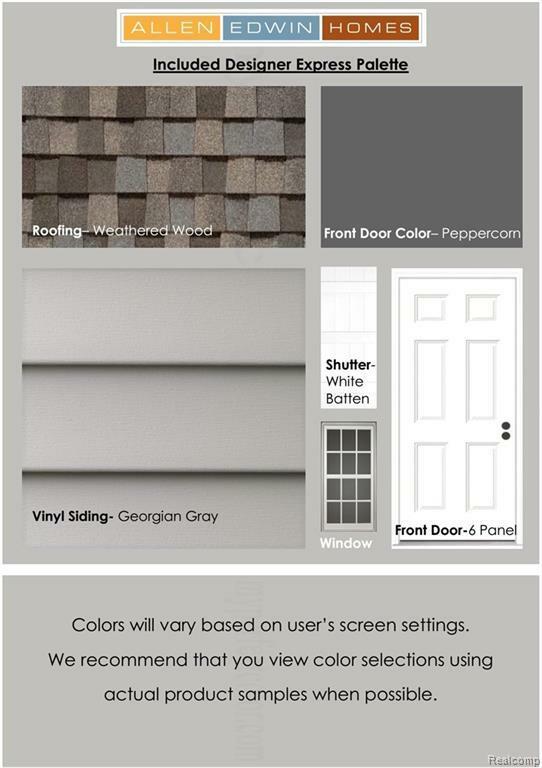 RESNET ENERGY SMART NEW CONSTRUCTION, 10 YEAR STRUCTURAL WARRANTY. 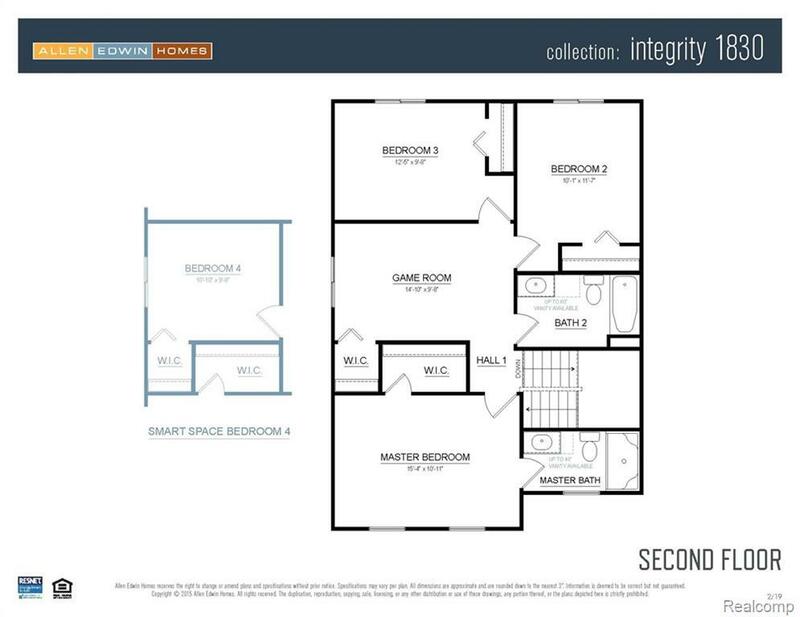 Welcome home to one of our newest floorplans that is sure to meet all your needs. 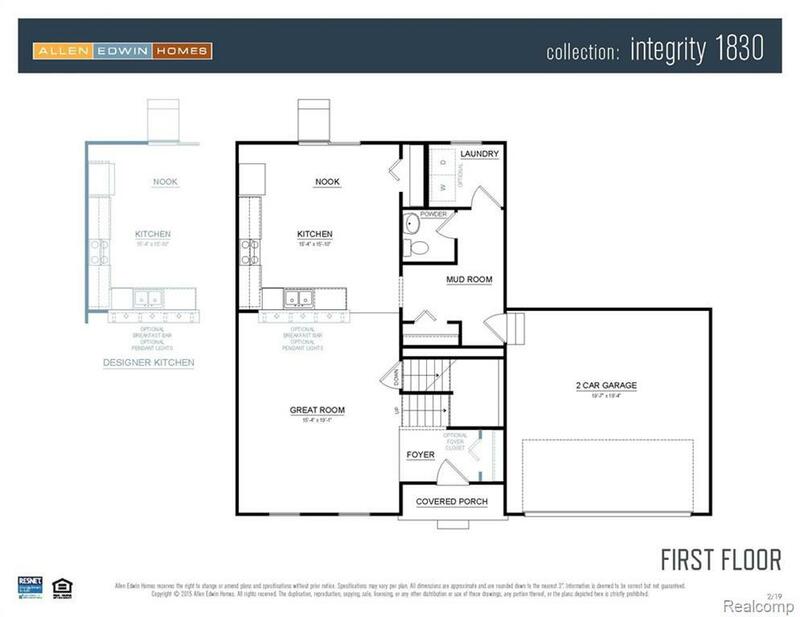 The main floor boasts a large great room, kitchen with dining nook, main floor laundry room, powder room and a mudroom, to help keep you organized. Upstairs a master suite awaits complete with a private full bath and WIC. 3 more bedrooms and another full bath complete the upper level. Patio creates an outdoor space. Call for more details. IDX provided courtesy of Realcomp II Ltd., via Allen Edwin Realty and Realcomp, ©2019 Realcomp II Ltd. Shareholders.